When designing your residential landscape one of the ways you can quickly boost your curb appeal and enhance home safety are with a residential fence. Fences are a great addition that helps to turn a house into a home, not to mention the added benefits of safety and security when it comes to children and pets. A fence is also a natural boundary line between properties. It can be used to cover up potential eyesores in the backyard. 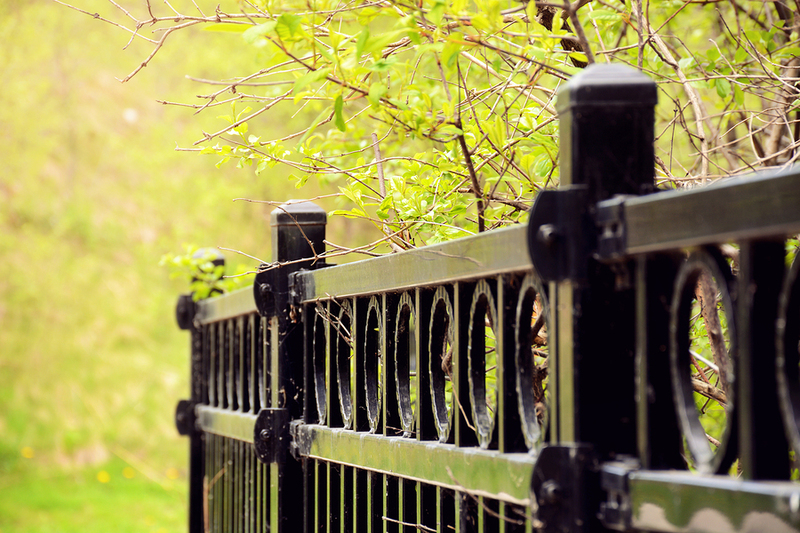 Fences that are aesthetically pleasing also increase a property’s value. Even if fencing isn’t required for security purposes, the increase in resale value is definitely worth considering. There are varieties of fencing materials to choose from when it comes time to build a residential or security fence. The traditional option is, of course, wood fencing. When considering the white picket fence, wood is what comes to mind. Wood lasts a long time if the right type is chosen and is one of the more affordable choices. If there is a desire to have something a bit more unique, bamboo fencing is a great environmental pick and comes in a few different styles. Wood isn’t the only attractive option; vinyl, wrought iron and even PVC fences may be better at completing a desired look and feel. Vinyl fences test strong, have more flexibility than wood and are essentially maintenance free. Wrought iron has a beautiful look to it and can be custom made but do require regular maintenance. PVC fencing is the way to go when it comes to cost but are not as sturdy as wood or iron. When it comes time to install a residential fence, it doesn’t hurt to consult a fencing specialist to help make a decision on style and desired materials. A residential or security fence is a great addition to any property. For more information and recommendations call us at G&K Construction in Omaha, NE, or click here for a free quote. We can help to transform your house into a home with a beautiful residential fence.